Baby Boomer Radio is an internet radio station from Wrightwood, California, United States, providing Pop, Rock and R&B Oldies music. Here at Baby Boomer Oldies Radio we have a special passion for the golden oldies but goodies music of the early 50's and 60's. BabyBoomerRadio.Com enjoys and plays all types of super high bit rate free internet listening music including oldies, jazz, swing, folk, r and b soul, rockabilly to country and bluegrass. We have a special passion for the golden oldies but goodies music of the early 50's and 60's. Baby Boomer Radio is also The Official Online Oldies Radio Station for Route 66. 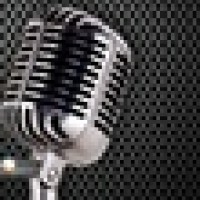 BabyBoomerRadio.Com enjoys and plays all types of super high bit rate free internet listening music including oldies, jazz, swing, folk, r and b soul, rockabilly, country and bluegrass. We have a special passion for the golden oldies but goodies music of the early 50's and 60's.